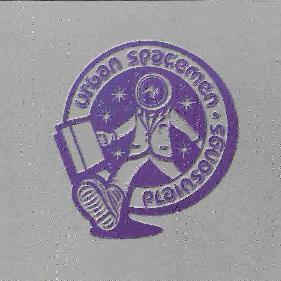 This is the debut CD by the UK outfit called Urban Spacemen. The band have sighted the Grateful Dead as a major influence on their band as well as the US jam band community in general and GONG and progressive rock. The opening song of the CD, Rising Light, you can hear all of these influences. The bands use of progressive arrangements, Jam band grooves, laid back DEAD like vocals and Allman Brothers band like harmony guitars are great. There is plenty of jamming on this CD. The title track, Plainsong, is a very cool instrumental that is very guitar driven. The Little Piece At The End, a 10 minute long journey, that starts with some spacey synths and guitars before taking off into another great song. The CD ends with a short happy song called In The Garden. While I don’t like the Grateful Dead at all, I quite enjoyed this CD a lot, especially the instrumental passages. Fans of the US Jam band scene would do themselves a favour by hearing a UK band that rocks and grooves with the best of them. The only thing I did not like on the CD is the too laid back vocal style. Makes me kind of sleepy. Great musicians and cool music. Thanks you guys! For more information you can visit the Urban Spacemen web site at: http://www.urbanspacemen.com. Contact via snail mail c/o Urban Spacemen; 26 Highfield Road; Hornchurch; Essex; RM12 6PT; England.